Extremely hard wearing rubber matting for a long life span in demanding conditions. Anti-slip matting, will remain flat and contours to floor surface. 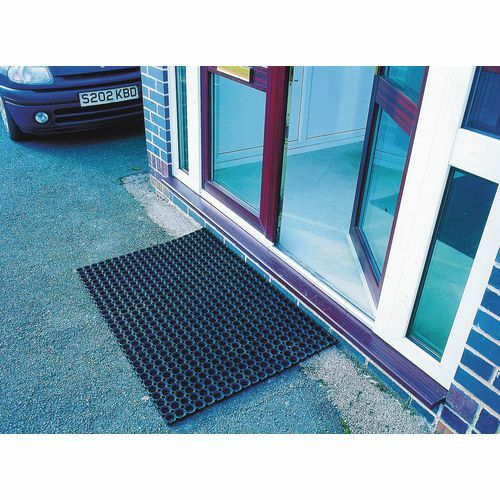 Provides excellent drainage and holes allow debris to fall through the mat. Mat size: 1000 x 1500mm. Connectors required to link matting every 0.3m for larger area coverage.